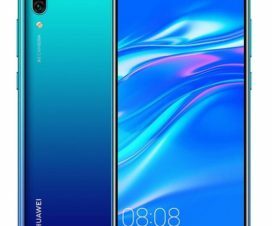 Huawei’s sub-brand Honor announced a new budget smartphone dubbed as the Honor 8C at an event in China. It is the successor of the Honor 7C, which was introduced earlier this year featuring a 5.99-inch HD+ display and Snapdragon 450 SoC. Compare to that, the latest Honor 8C comes with a 6.26-inch HD+ display and a Snapdragon 632 SoC. Read on the following for complete Honor 8C Price, Specs, & Features. 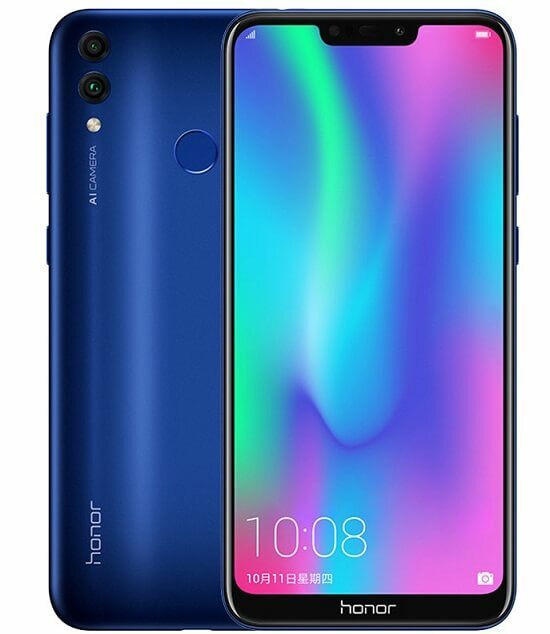 The dual-SIM Honor 8C flaunts a 6.26-inch (1520 x 720 pixels) HD+ display with 19:9 aspect ratio. 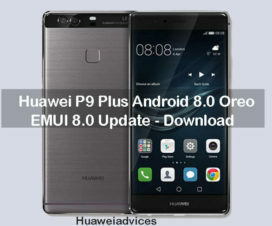 It is powered by a Qualcomm Snapdragon 632 SoC, which is seen for the first time on any Android smartphone. It also includes Adreno 506 GPU coupled with 4GB of RAM for better gaming experience. In the camera department, we find a 13MP rear camera with LED flash and a secondary 2MP shooter to create photos with bokeh effect. There is also an 8MP shooter on the front with f/2.0 aperture with LED flash. The Honor 8C comes with 32GB / 64GB storage option which can be further extendable up to 256GB via microSD card. 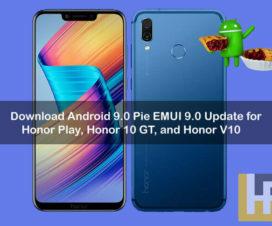 Honor 8C runs Android 8.1 Oreo OS with EMUI 8.2 on top. It is fueled by 4,000mAh battery with support for 5V/2A charger. The phone also features a fingerprint scanner on the backside. 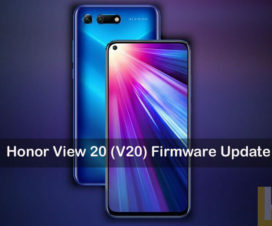 The phone includes connectivity features like 4G VoLTE, dual-SIM support, Bluetooth 4.2, Wi-Fi 802.11 b/g/n, GPS +GLONASS. The phone measures 158.72 x 75.94 x 7.98mm and weighs 167.2 grams. 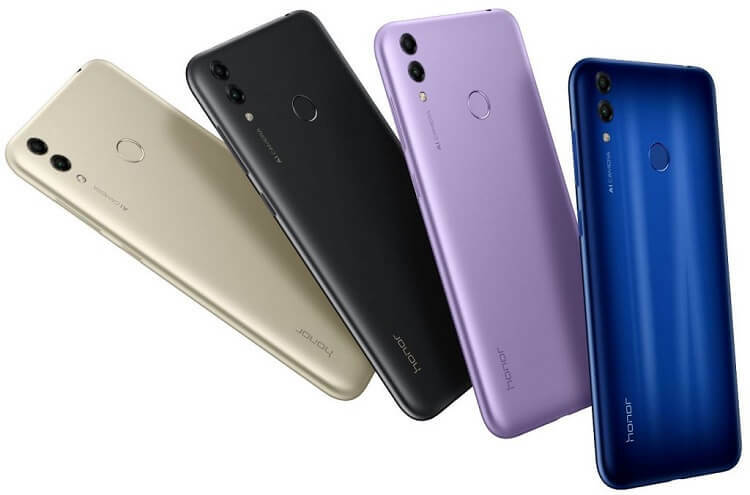 The Honor 8C comes in Aurora Blue, Platinum Gold, Nebula Purple and Midnight Black colors, is priced at 1099 yuan (US$ 158 / Rs. 11,785 approx.) for the 4GB RAM with 32GB storage version and the 4GB RAM with 64GB storage version costs 1399 yuan (US$ 201 / Rs. 15,000 approx.) . It will be available for order today in China and goes on sale from October 16th.